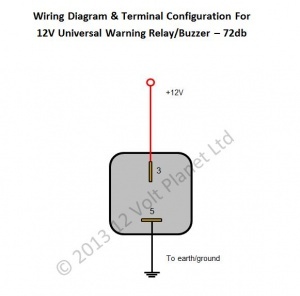 12V universal warning relay that features a piezoelectric buzzer operating at 72db volume. 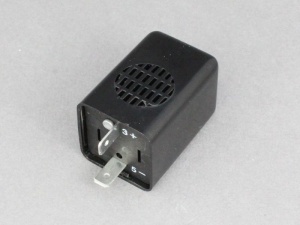 This relay has only 2 connections (+ve and ground) and is simple to install in any application where a warning or reminder is required based on a 12V input signal. 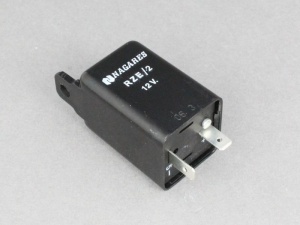 There is a moulded-in bracket for mounting to a flat surface. Just what was wanted for an alarm to show something was needed.